26” Crafted of two-toned beige and honey plush. 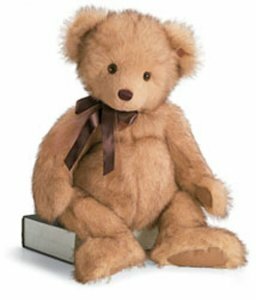 She has an embroidered nose and leatherette paw pads and wears a rich brown satin neck ribbon. Babette™ wears an enamel charm with the trademark Gotta Getta Gund in her ear.